Bobby Lee, CEO of BTCC, has high hopes for Mobi, the bitcoin exchange startup’s new mobile app, released at Money2020 in Las Vegas today. In contrast to other hosted wallets, Lee argues that Mobi succeeds at a difficult balance of being both “bitcoin first” and accessible to a global consumer base. Rather than enable the wallet to hold US dollars, euros or renminbi, Mobi uses bitcoin to provide users with the experience of cash, enabling them to lock their value into an exchange rate that matches their preferred currency. For example, when Lee sends £10 to his wallet, he’s actually sending around 18,000 bits, the smallest denomination of bitcoin. Also noteworthy is that if he were to send the money to someone else, all he’d have to do is enter their phone number. This feature, Lee suggests, is perhaps the key attribute of Mobi, which he said would remove the friction sometimes inherent in onboarding new bitcoin users. “There’s no email, no password, no usernames, no two-factor authentication. If you own the phone number, you own the coins for that wallet,” Lee continued. 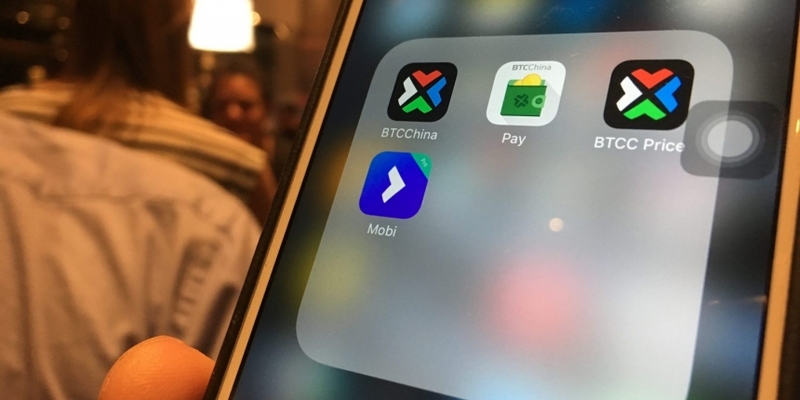 Onstage, Lee further argued that users will simply become accustomed to treating the “dollars” and “yuan” in their Mobi accounts as real value given the effectiveness of its hedging system. Over time, Lee told the audience that by using bitcoin as a payments rail, BTCC will be able to better penetrate a global market than other wallets attempting to straddle both the bitcoin and fiat worlds. “Telescope, Telegram, Skype, these are all global communication platforms. There’s no truly global platform for money,” he continued. The wallet is now available in public beta.